If you change your mind about doing an interview, inform the employer promptly. When an employer offers you an interview, it means you made a positive impact with your resume or other form of initial contact. But sometimes what seems like a golden opportunity might not be right for you. For a number of reasons, you might have to decline a job interview. For example, this might happen if you accepted an offer elsewhere, the timing just isn’t right, or you realized this isn’t the job for you. Since the employer was gracious enough to grant you the interview, you should the take the time to politely refuse it. 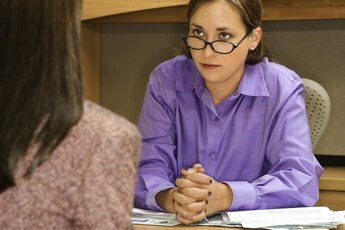 Before you reject an employment interview, reconsider why you don’t want to do it. This will give you a balanced perspective. For example, if it’s due to personal or family reasons, the situation is out of your control. If you accepted another job, you’ve already made your choice. If it’s because you heard that the company is no good to work for, you must guard against unproven rumors. Consider where the information came from and try to obtain the truth on your own. If you were scheduled for a second interview, you already have a feel for the company. You can rely on your own instincts and judgment in this case. You can either call your point of contact or email him to decline the interview. Keep your response brief and courteous. Say that you appreciate the opportunity to interview with the company, but you must regretfully decline. Include the date and time of the scheduled interview. Briefly say why you are declining. If it’s because you don’t want to work for the company, simply say that the job isn’t a good fit for you. You do not have to get into details about why you feel that way. If you are refusing the interview with a phone call, you might be asked to provide more details. In this case, stick to your script and just say you felt the job is just not the right fit at this time. Keep your tone friendly and positive. 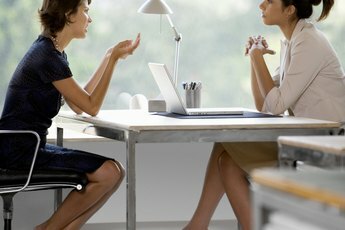 When refusing an interview, try to leave a positive impression. Thank the employer again for the opportunity and apologize for any inconvenience you might have caused by refusing the interview. Let her know you will get back in touch if anything changes on your end and you decide you want to chat more about the job. Close your correspondence by wishing the employer all the best. If you do not get a response to your communication, don’t take it personally. You did your part by declining the interview and demonstrating your professionalism. Keep in mind that when you refuse a scheduled interview, it might hurt your chances of ever interviewing with the company again. Bailout My Career: Should You Decline an Interview? 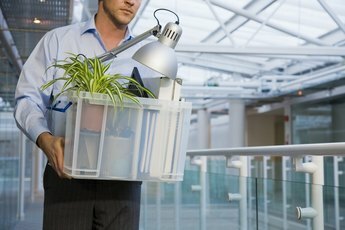 Is It Illegal for an Employer to Tell Why You Were Fired?